By TLex An exotic looking diver with an equally exotic way of telling dive time! 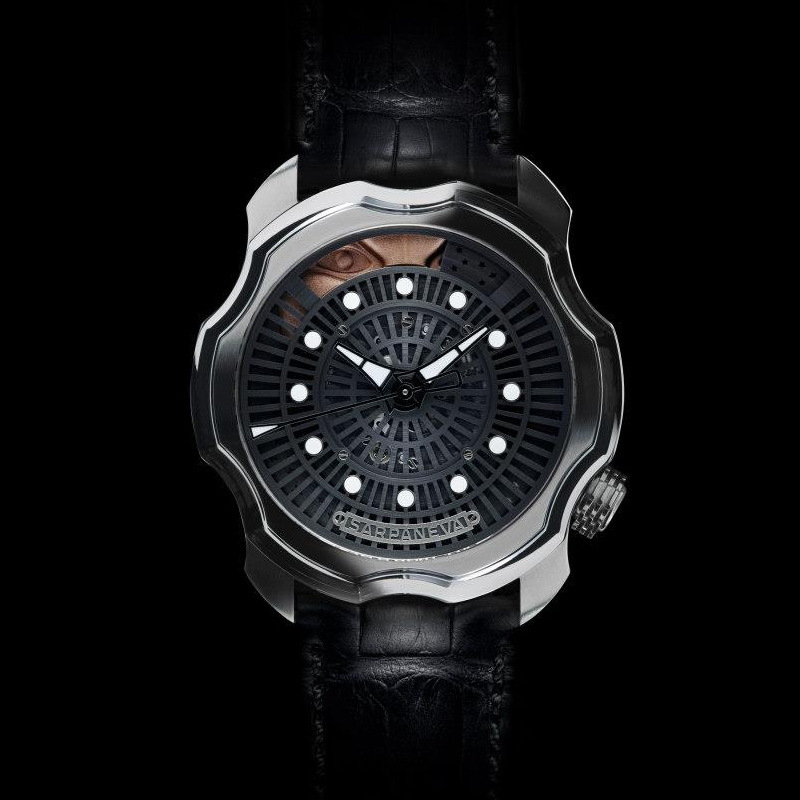 Introducing, the new Sarpaneva Korona K0 Wuoski, the latest addition to the KO Diver series. Below, the Stainless steel case version with its enchanting Copper Moon and DLC coated dial. Also the DLC coated Stainless steel case version with Oxydized Silver Moon and DLC coated dial. The open caseback exhibits a rotor with 22K Gold weight. I know these aren’t going to be to everyone’s’ taste, but the workmanship is quite exquisite and for me they capture the imagination. You kind of get the feeling that even in the days of ancient folklore there was still a need for dive watches, a charming sentiment that warms the heart! From SARPANEVA Sarpaneva Korona K0 Wuoksi is inspired by a Finnish legend of a village smith whose daughters were snatched down into the murky mansions of a lustful underwater creature Näkki. The smith descended into the watery depths to rescue his daughters, but unable to reach the bottom, he had to turn back. Korona K0 Wuoksi is an executive class sports watch wrought by Finnish watchmaker Stepan Sarpaneva. 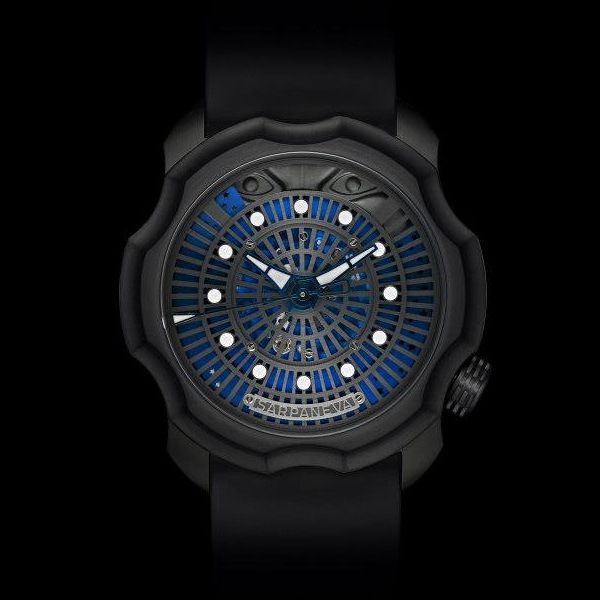 Founded on the success of Korona K0, this special edition features a moon-phase complication instead of diver’s bezel. 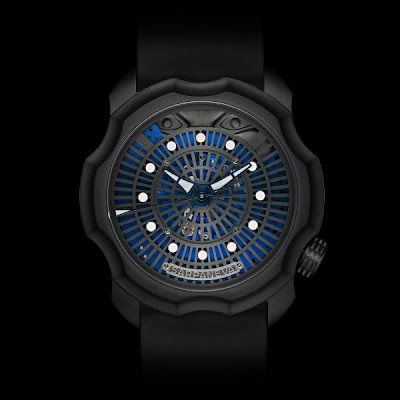 Wuoksi introduces a special skeleton dial and a revolving evening sky disc which reveals a peek of the iconic Sarpaneva moon face. Every Sarpaneva Korona K0 Wuoksi is handcrafted at Sarpaneva’s workshop in Helsinki. 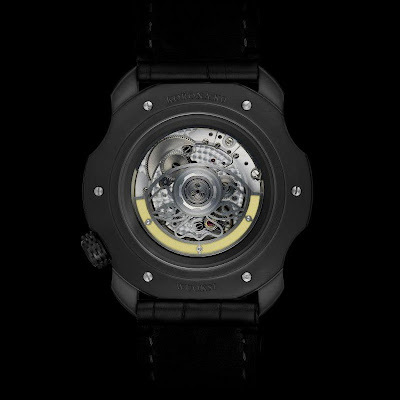 As a very limited edition, every Korona K0 is counted as one of the few.